Hiring local painters and having them work in your home involves trust. As your chosen painter we will earn your trust by making sure you get the best quality painting job possible, by being on time, by professionally courteous, and by cleaning-up thoroughly at the end of every workday. As one of the most reputable painting contractors on the Main Line, we take pride in making your home beautiful! See our great reviews on Houzz to truly appreciate how we will care for your home. We are known for providing professional craftsmanship with a personal touch, working to go beyond the level of quality given by ordinary painting contractors. We can also work with budget and time demands when necessary, reducing the stress that can be associated with a painting project. As your full-service painter, we provide – fine interior painting, wood refinishing and staining, and kitchen cabinet refinishing, – throughout the Philadelphia area. We also support our painting services with a highly experienced team of carpenters, handymen, tile setters, electricians, and plumbers. Call us today for all of your painting and refinishing needs, at 610-864-1649. Have you ever felt the pain of being under-serviced by a painter in your home? Well, we will heal that experience for you with our full-service, customer-friendly line-up of trades including – trim carpentry, drywall repair, water damage repair, expert handyman, electricians for installing new light fixtures or updating outlets and switches. 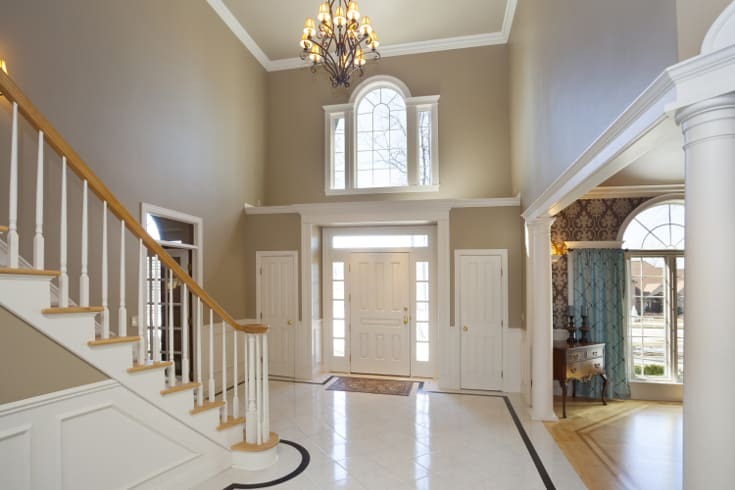 We do whatever is needed to support our painters in delivering an elegant finish to your home. Free color consultations with one of our interior designers. Free color sampling, where our painters place the sample colors up for you! Application of one finish-coat on the walls – then a collaboration with you to ensure that you love your new colors. Then if you change your mind about the color, paint is not wasted and neither is your money! Craftsman-level finish (vs. an standard contractor finish). 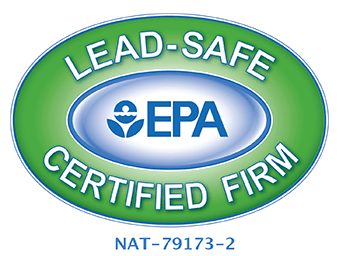 Use of the industry’s best products and quality-control practices. Our painters will vacuum and clean your home thoroughly, especially on the last day of work. Your painting project supervisor will ensure that the work areas are left clean everyday. We all know – color ‘makes the world go round.’ A new paint color can transform a room from dark and boring to bright and beautiful. A quality paint job also adds warmth and comfort to your home’s interior. Choosing a shade for a wall color or coordinating colors with other elements in the room can be difficult, but our interior designers make it easy for you. And it’s included at no additional cost! Free Color Consultations can be scheduled to your convenience – Monday through Saturday – with one of our interior designers. Free color sampling is included on all painting jobs, as our painters are happy to make sure you “100% love” your new colors. No matter what your intended color goal is, or even if you do not have a color in mind, we will carefully guide you in choosing a color that works for you in each and every room of your home. The most important step of painting is in the preparation. This is even more important on interior painting, where the quality of the finish is seen as a reflection of your home’s value. In our craftsman approach, and given Ted’s background as a furniture maker, we go beyond the level of quality found in ordinary contractors’ work. Our work demonstrates that there is a difference between hiring a craftsman-operated painting business vs. hiring an ordinary painter. We carefully prep and smoothen the surfaces before priming, and we finish-sand between coats to ensure that all imperfections are removed before the final coat of paint is applied. And we treat the painting of your walls and trim like furniture refinishing, as our painters have been trained to have a meticulous eye with attention-to-detail. Our painters primarily use Sherwin Williams and Benjamin Moore paints, though we have worked with all paint brands. As a result of our extensive experience, we are familiar with the various paint companies’ product strengths and best applications. By using the best paints on the market, we ensure that our customers are given the most durable finish possible. Inferior paints and discount paint rollers result in a much lesser than desired outcome in the quality of the finish. We use only no-shed paint rollers and the best prep and restoration materials available in the industry. Call Us Now… at 610-864-1649 – and start restoring your home’s appeal today!